There are a lot of interesting types of both these items, so I thought I'd put my memories on paper. Both things have a long history. 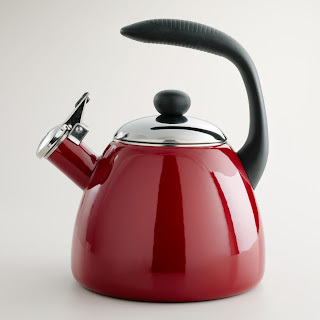 I remember a large silver coloured kettle we had, with a hinged lid on top, on one side of the handle. It must have held over a gallon, and heated water on bath night. 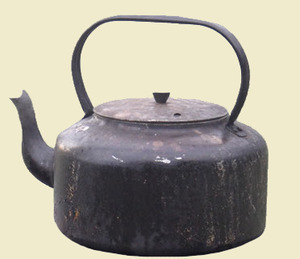 Old tea kettle, something like what Letty describes. All water was heated on the stove before people had running hot water from a tap, so the kettles were enormous. As years rolled on, the kettles all got a bit smaller, and much easier to handle. 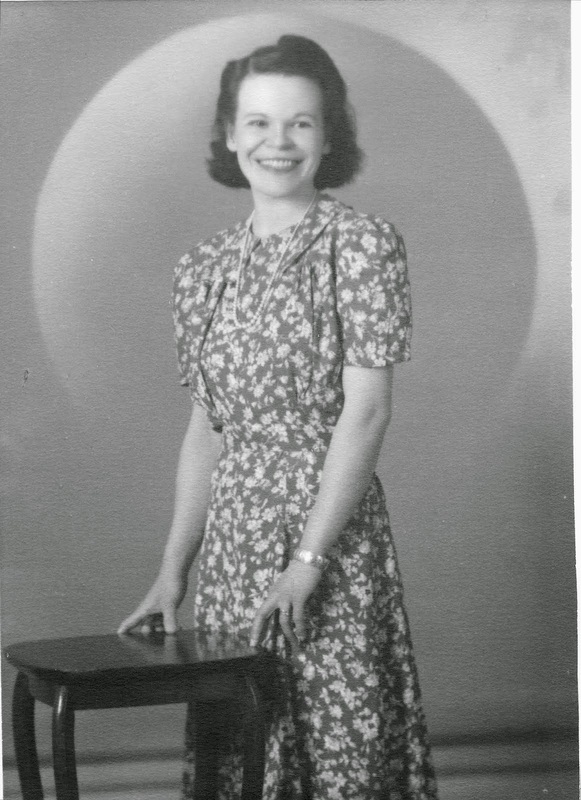 Most of them now are small and whistle, or are supposed to and don't They serve a purpose. A new, whistling kettle. For safety, most stove-top kettles now have whistles, and electric kettles have automatic shut-offs, to avoid having them boil dry. 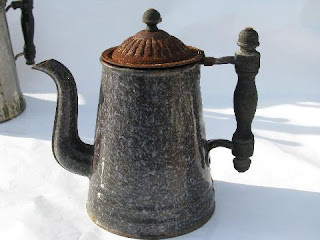 Coffee pots, the old blue enamel ones, were big, ugly things too, as more folks drank coffee. Most farmers drank coffee, and they hardly ever threw out the old grounds before the pot was half-full of grounds, then the coffee tasted like arsenic. Phew! An antique coffee pot. You can still buy pots much like this for camping. By the way, go to the old Dog House Restaurant. (a restaurant in Duncan, BC, where Letty lived.) They have an excellent display of old-time articles on the shelves above your head. It is worth the trip. Now that I live in America, where tea drinkers are an endangered species, I have encountered two ladies who did not know the difference between a kettle and a teapot. For the record, the kettle is used to heat the water, and can either be electric, or the kind you put on top of the stove. When the water boils, you pour it into the teapot, which contains a teabag or loose tea, depending on preference. The tea steeps in the teapot, and then you pour it from there into cups. The secret to good tea is to heat the water to a full, rolling boil, and then pour it over the tea. Chenelle, I only buy electric kettles at this point. I prefer those that sit on a stand which is attached to a cord, rather than a cord coming directly out of the kettle. Most electric kettles have an automatic shut-off, as a safety feature, so I don't need a whistling kettle any longer. I don't like plastic kettles, but that's a matter of personal taste. Go with the one you like.